Beyond Design, based in West London, harbours both traditional and contemporary styles in pursuit of personalised and strongly non-commercial interiors. The designs are driven by the desires of the client and their particular project and mould themselves around the design object, be it a home, hotel, spa or yacht. They will expose and explore new elements while retaining a subtly rich design through use of colour and delicate detail. The softness created remains feminine but open to suggestion; quirky and often nautically inspired. 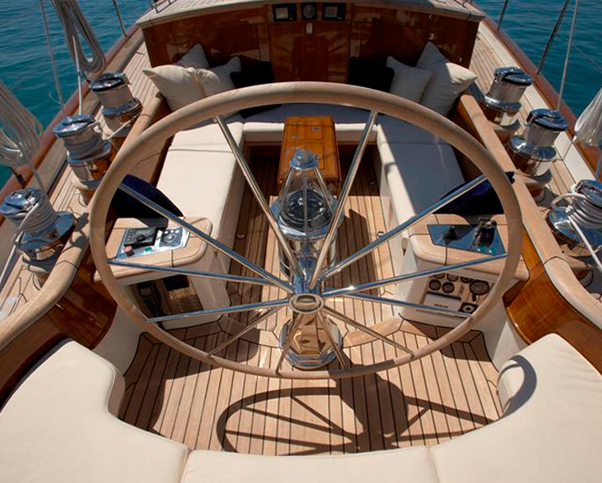 Beyond Design's projects are wide ranging, including many sail boats and motor yachts, contemporary residential homes, boutique hotels and private clubs. By combining experience with the modern and contemporary Beyond Design adds to the established elegant and traditional design approach. The design practice is kept deliberately small to ensure a personalised approach. Head designer Chelsea Bidwill works closely with the client to realise their visions and dreams and give their space a unique feel. Regular communication with all involved parties and travel to the site ensures perfection. Beyond Design provides a complete service from conceptualisation to project completion with personalised design with creative modern inflictions to create quintessentially styled interiors.